Read It Later has been the original read-it-later service since 2007. The service itself is a fine solution for those “I want to read (or watch) this but don’t have time right now, so let’s save it for later” moments, and it’s completely free to use. Since the rise of the service, it has been accessible many different ways: originating as a browser app, then branching out into iPhone, iPad, Android, and Kindle Fire apps. I have had an account with the service for a while, but the design of the original iPhone and iPad apps didn’t appeal to me too much. However, I still found Read It Later to be the best option (when you compare it to Instapaper and Readability) if you found yourself saving a lot of multimedia-rich articles, or heck, even if you like to save videos for later. But that all changes now. 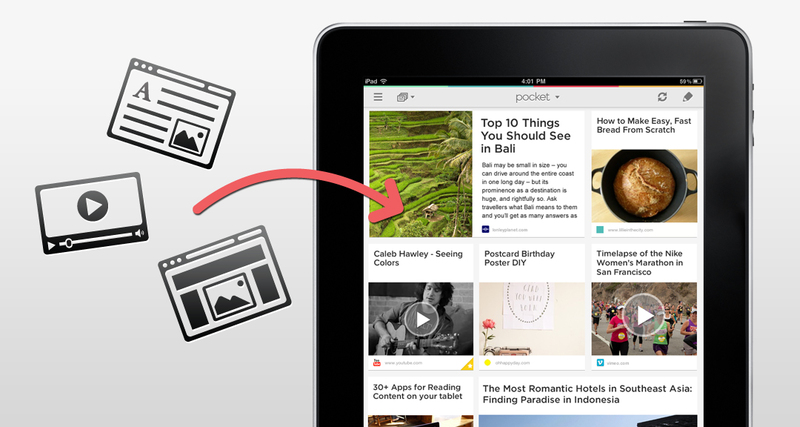 That’s right – Read It Later is no more, but Pocket is here. The name may be the biggest change to get used to. Previously, you would know immediately what Read It Later does – saving articles for reading later. However, this implied that the service is only for reading, which is not necessarily the case. With the new name change, it emphasizes saving different media (not necessarily just articles) to take with you on-the-go (in your pocket). After almost five years with the name of Read It Later, this will be a hard adjustment to make, especially for the longtime users of the service. In the end, though, I think it’s for the best (Instapaper and Readability seem to focus more on the article reading, anyway). 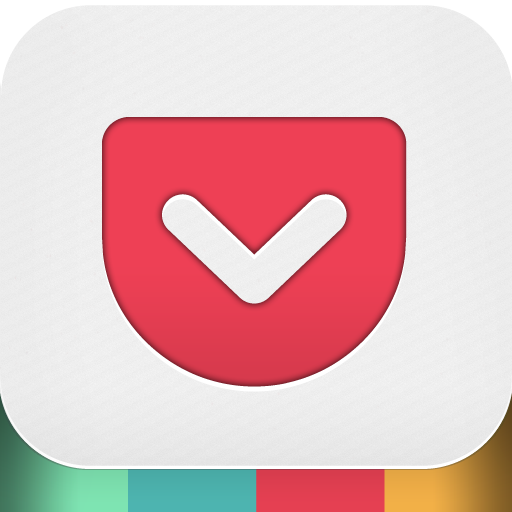 I have had the pleasure of trying out Pocket for a few weeks now. My favorite thing about the new app is the design. It’s downright beautiful. Gone is the plain main screen, where you used to navigate from (Reading List, Currently Reading, and Read Archive). It has been replaced with a soft and subtle (even with that multi-colored line at the top) looking main screen that is easy on the eyes and makes the overall experience a breeze. On the iPhone, you will get a list of your saved stuff. Unlike the old version, though, the right hand column will show thumbnails (if available). This is great for visually seeing what you saved, in addition to the headline. The iPad version is an even bigger change. By default, you get a grid view (think of Instapaper’s, but better, because you can see more at once) that will show headlines, excerpts (usually the first couple of lines), source links, and thumbnails (if available). Some will be long rectangles, while others will be squares. The end result is a nice looking format that may remind you of a magazine. If you aren’t a fan of the grid view, you can always just use the list format on the iPad as well (toggle this with the button in the upper left corner). The only difference between the iPhone version is that the thumbnails will be shown in the left. A search bar will reside at the very top of either version, and this allows you to search in real-time through your links by title or URL. If you are a regular user of tags, you can access them with the button beside the search bar. Since Pocket is now focused on different kinds of links, you can filter through your list by All Items, Articles, Videos, or Images. By default, the main screen will be called “Home.” You can access your Favorites and Archived items by tapping on the “pocket” logo at the top, which will reveal an elegant drop-down menu. You can even access the app’s settings from here, as well as open up a help guide (introduction, how-to, and even support or feedback). Bulk Edit is now available, where you can select multiple items at once and apply an action (Archive, Favorite, Delete, Tag) to them as a batch. You can even swipe on an individual item to bring up a contextual menu (think of Quick Swipe from Twitter’s iPhone app), allowing you to tag, share, archive, delete, or favorite. The app syncs each time it’s launched, or you can manually refresh by tapping on the button. Currently, the iPhone version has the pull-to-refresh mechanism, while the iPad app does not (hopefully it will be added later on). In addition to getting a major redesign, the actual reading (or viewing) experience has been vastly improved with a much cleaner interface. Articles can be displayed in either Article View or Full Web Page View (an option exists to open the “best” view for the selected link), and you can quickly toggle between the two via the buttons at the top. Previously, to change the appearance of the text in the Article view, you had to double-tap on the screen to bring up the different options. This was not the most obvious way to do it (how would new users have known that? ), but now the app will include appearance options in the top toolbar. The appearance settings allow you to increase or decrease text size, display the article in a Serif (FF Mobile Yoga Pro) or Sans-serif (Proxima Nova) font (these differ from the standard Times New Roman and Helvetica from the previous version), justify text, and toggle day or night mode. There’s also a brightness slider so you can adjust the brightness within the app that will remain separate from your device’s brightness. While Pocket may not have six new fonts like Instapaper, the two new fonts actually look really good. I prefer the new Sans-serif on both my iPhone and iPad, but the Serif font is a great choice as well. It’s not the standard, boring fonts and really improves the reading experience. Read It Later did not have a full screen reading mode, which could be annoying for some. Fortunately, Pocket includes the option to go full screen (iPhone only), and it’s accessible with just a single tap on the screen. Full screen mode really does make the reading and viewing experience that much better, and getting out of it is just as easy. The checkmark button allows you to send the link to your archive, but there is now a star for adding favorites. The only bad thing is that the app no longer has a way for you to quickly navigate through articles in your list while reading – you’ll have to go back to the previous screen. The Sharing function remains the same, allowing users to choose from a multitude of Actions (copy, email, open in Safari, report article view in case of parsing problems), Services (many here, including Delicious, Evernote, Facebook, Pinboard, and Twitter), and Apps (OmniFocus, Things, and Twitter for iPhone). The most welcome news should be the fact that Pocket is a single universal app, and it’s completely free to download and use. That means that there will no longer be a “Pro” version, since the free app will have all features available to users. Before previous customers get annoyed about paying $2.99 for the Pro version of Read It Later in the past, remember this – Read It Later would not be where it is today without the help of those that bought and supported the product. So just enjoy the new product – I certainly have. Pocket has made its way on to my home screen because I am absolutely in love with this fresh new redesign, and I plan to use the service much more from now on (it’s great for various forms of media). This is one of the biggest overhauls of an app I have seen, but the end result is well worth it. If you have not checked out Read It Later (now Pocket) before, then I highly suggest you do so now. It’s a great alternative to Instapaper and Readability. Get it from the App Store today.